Jamie Lewton practices a weld. As a former administrative assistant, she saw an article on Keith Harrington, a student graduating with a welding certificate from College of the Mainland, and saw new possibilities. It enticed her to try welding, and she now is in class five days a week, determined to learn skills that could earn her of $17.93 per hour according to Workforce Solutions to support herself and her four-year-old daughter. 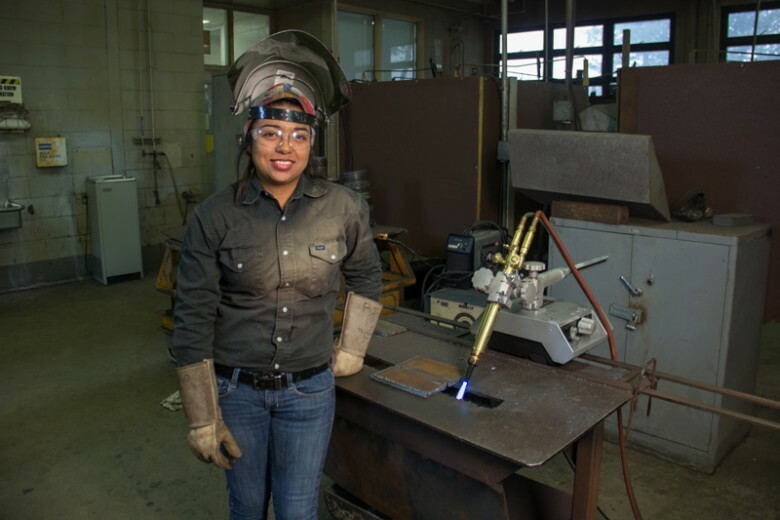 She is one of a growing number of women in the College of the Mainland Welding Program. “We have never seen so many women in the program,” said Doc Miller, who has taught welding for 32 years. 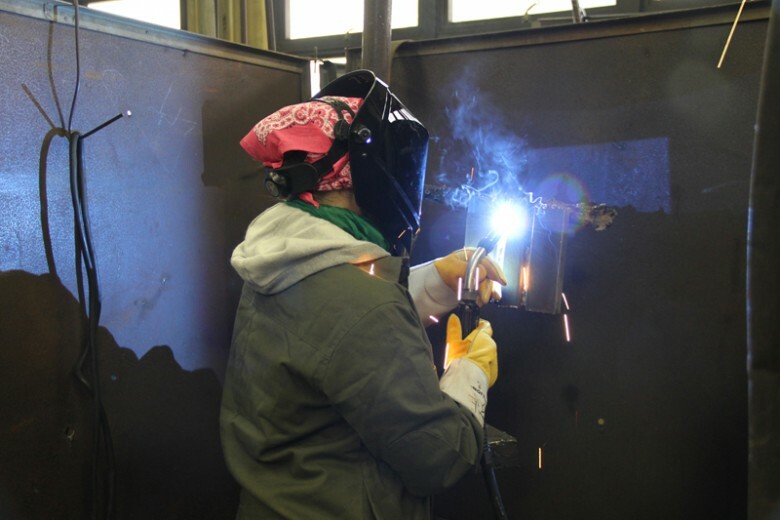 The increase mirrors industry’s growing demand for female welders. Lewton finds support in classmates, male and female. Her classmate, Marissa Cantu, agrees. Lewton has applied for financial aid with Worksource Solutions, which next semester will cover 70 percent of school. Federal aid will cover the rest. For more information on the COM Welding Program, visit www.com.edu/welding or call 409-933-8536.